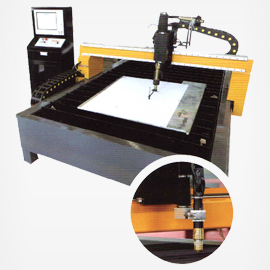 The ArtMaster series CNC plasma cutting machine combines high speed cutting with accuracy and precision using a space efficient integrated cutting table desigi which makes for fast and easy installation. Linear Guide:, are paired with a rack and pinion drive mechanism for smooth and accurate motion, supported by a powerful Yaskawa Sigma Series AC Servo System equipped witl precision planetary gearboxes. 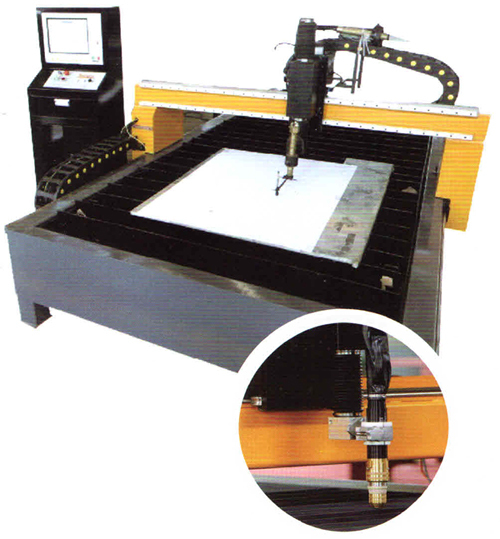 Available with various plasma system makes and models to suit the intended use. Various torch height control systems are available in an: voltage, capacitive, and mechanical configurations, ant the torch positioner can be either motorized or pneumatic. Ideal for cutting thinner materials, perfect for sheet metal, mild steel aluminum or stainless steel. Single Side drive is standard, with optional dual side gantry drive available for high precision applications.